I’m sure your parents are the only ones that remember when doctor’s making house calls was a common practice. In today’s busy world, that practice is just a memory. However LG and Intel have partnered to bring that idea back into style with a virtual doctor. The Health PHS5000, or as his friends call him, Dr. Touch, is a device that brings a doctors knowledge and recommendations to you in a white lab coat themed case. 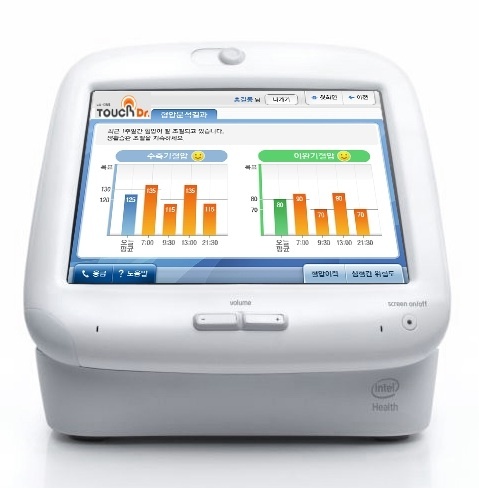 Dr. Touch can monitor any chronic disease, diabetes, blood pressure and a lot more. You can even have it setup to forward to your real life doctor. As of now, Dr. Touch is only available in Japan, but I’m sure we will get it here in America sometime before 2020.